GameFace Labs, one of the earliest companies to begin development of a standalone VR headset, is back with the latest version of their prototype device now featuring SteamVR (AKA Lighthouse) tracking running on the Android-based system. We’ve been following the GameFace development story since back in 2014 when they showed us what VR looked like at 2,560 x 1,440 resolution, long before the first headsets of that resolution would actually hit the market. Though they intended to ship a development kit not long thereafter, those plans were foiled by the young and rapidly changing VR market. We’d watched continued development of the headset over the years since then, and now it seems, thanks to a stabilizing ecosystem, GameFace is honing in on their new goal of delivering a development kit by the end of 2017. At E3 2017 this week, I saw the latest prototype of their standalone VR headset—which GameFace founder Ed Mason calls the EP1—now running with the latest version of Android and with custom SteamVR Tracking hardware which allows the headset to be tracked using a Lighthouse basestation. 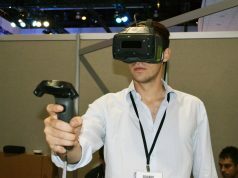 As a standalone headset, the device has everything needed for a VR experience directly on-board, like a display, processor, lenses, and battery—which means no need to rely on an external computer for rendering. The company built their own SteamVR Tracking hardware in accordance with the tools and parts made available by Valve for those that want to use the tech. 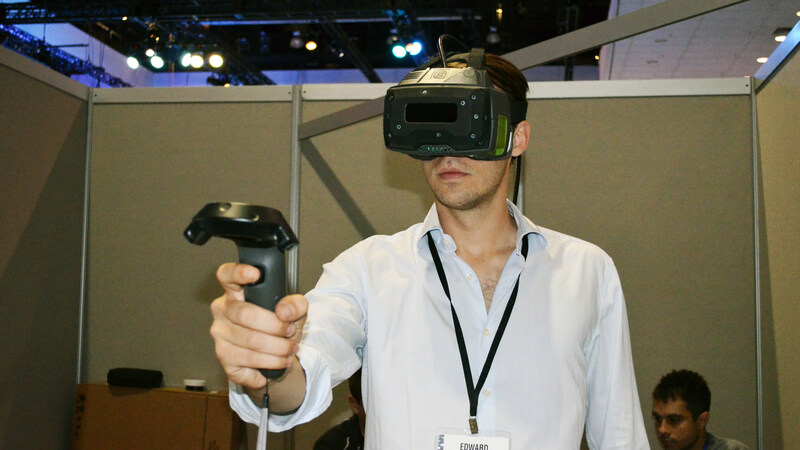 This is one of the first companies we’ve seen create custom SteamVR Tracking hardware; Tactical Haptics recently demonstrated the same for their haptic VR controllers. Building the tracking hardware is one challenge, but GameFace also had a lot of work to do on the Android side to get it to understand and calculate the tracking data, Mason said. 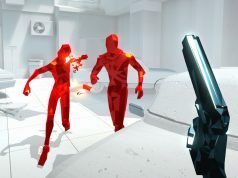 He confirmed that the SteamVR Tracking was being handled 100% on the headset, rather than the more trivial task of having it sent out to a PC for processing and then sent back to the headset. With SteamVR Tracking integrated, the headset can use the tracking system for 6DOF movement while running on-board content,with no need for a PC. The tracking as it stands now—which works but is far from usable—is just a proof of concept, Mason tells me, to show that they’re able to get SteamVR Tracking functioning on Android. 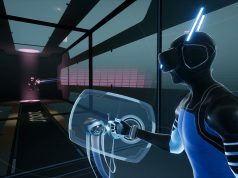 Now there’s lots of optimization to be done, including upgrading the headset’s current internals to something more powerful so that there’s more processing power available for the SteamVR Tracking calculations to run alongside the VR application, he says. In addition to on-board SteamVR Tracking, GameFace is developing an OpenVR driver for the headset to allow it to join into the SteamVR ecosystem. This will allow users to tether the GameFace headset to their computer and play SteamVR games rendered with the full power of their PC. In this case, the tracking processing would be handled on the PC, Mason says. In addition to supporting high-end SteamVR content while tethered to a PC, Mason says the headset will officially support Google’s Daydream platform, allowing owners to download and play Daydream games from the Android store. The eventual GameFace consumer headset will be offered under the umbrella of the standalone Daydream headsets alongside the likes of HTC and Lenovo which announced such headsets in the works last month, Mason told me. If GameFace delivers what they’re promising, it would be the first headset to support both SteamVR and Daydream platforms in a single VR headset. The development kit, due out by the end of 2017, will feature the same 2,560 x 1,440 resolution as the current prototype but get a significant bump from 60Hz to 90Hz. 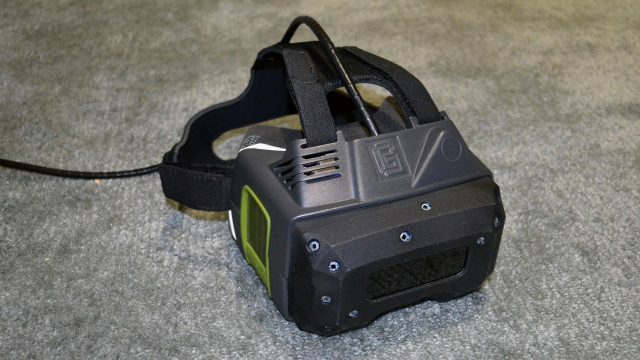 Mason also says they’re aiming to make the development kit nearly 50% smaller than the current headset which is rather bulky thanks to the addition of the prototype SteamVR Tracking hardware. Good, but has the inside-out tracking with cameras for Daydream too or not? I get the sense too that this concept is a little forced, but it does tackle a fairly significant issue. If I want to experience PCVR and mobile VR today, I need to purchase two separate headsets. So bringing those together into one makes a certain amount of sense. I don’t think we’re at a point where it’s really very practical, but I’m glad to see people are trying none the less. It’s always cool hearing about these smaller projects going on at the edge of the VR mind share. I’m a little concerned though with how their Daydream support would play out. Since we know that Google’s WorldSense technology will be bringing positional tracking to Daydream in the near future, would this device be compatible with those experiences? Maybe I’m just dense. Don’t games running on Steam VR also rely on run times etc that are built into Direct X / Windows? You will switch from one to the other whenever you like. Yeah but I imagine it will use all the software on the computer as it’s plugged in then, and switch mode to one where it uses its own software when it’s disconnected and running in mobile mode. More than 150 in Google Play. What about the controllers? Could it support the Vive controllers when tethered to the PC? 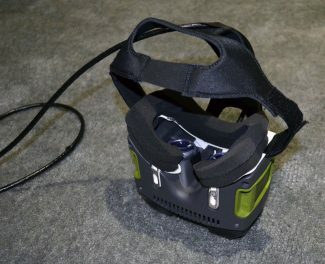 I want to see more pc vr headset of high quality using lighthouse trackers. 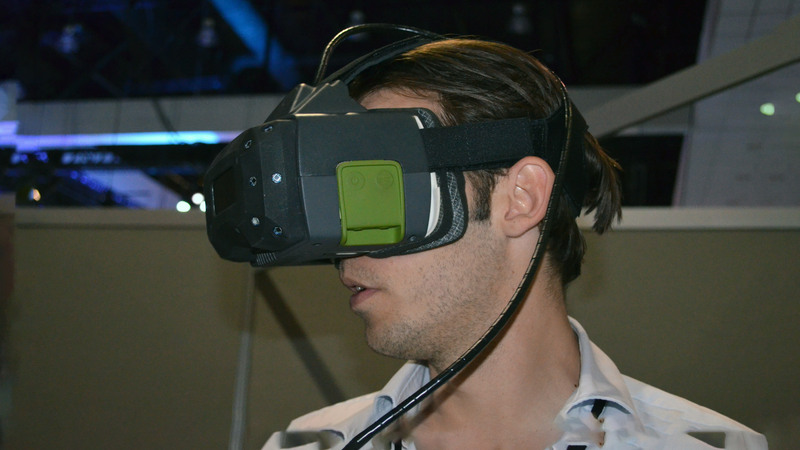 Maybe even the rift 2.0. VALVE lighthouse becomes the standard tracking tech. So you wouldn’t have to upgrade your base stations. Looks like the Pc will handle the Steam VR games.